Congratulations—your child has been accepted into college! As you prepare for this exciting transition, it is likely that you have been saving for some time, and now you are ready to start withdrawing from your college savings account(s). As you begin the process of developing an appropriate spend-down strategy, it is important that you consider how to distribute your assets in a tax-efficient manner while leveraging financial aid benefits and continuing to maximize current savings. It is important to understand the benefits and limitations of each college savings vehicle in order to prioritize its use based on financial aid or tax considerations. Below, we’ve provided a brief introduction to some examples of savings vehicles, and encourage you to continue the conversation with your tax professional and Financial Advisor to get more information. Section 529 Plans: Withdrawals are not subject to federal tax when used for qualified education expenses. Funds can only be used to pay for the beneficiary’s qualified higher education expenses, including tuition, mandatory fees, room and board, books, supplies, and equipment (including computers). If money is withdrawn for other purposes, the earnings withdrawn will incur federal income tax as well as a 10% penalty. You may also owe state taxes if you claimed a deduction or credit for your contributions. Custodial Accounts (UGMA or UTMA Accounts): Since the minor child is considered the owner, any taxable income and capital gains as a result of withdrawals are taxed to the child. Custodianship terminates when the minor reaches the age of majority under state law (generally between 18 and 21). At this time, the account terminates and the child gains full control of all the assets in the account and is taxed under their own tax rate. A Coverdell Education Savings Account (Coverdell ESA): The earnings on this account grow tax deferred and the money withdrawn to pay for qualified education expenses is tax exempt. If the money isn’t used for K-12 or college expenses (a nonqualified withdrawal), the earnings portion of the withdrawal will be taxed at the beneficiary’s tax rate and subject to a 10% federal penalty. In addition, the beneficiary assumes control of the account at the age of majority, which, as previously mentioned, ranges from18 to 21 depending on the state of residence. A major factor in qualifying for financial aid is the amount of assets the family can contribute to the student’s college tuition each year; this is called the Expected Family Contribution (EFC). Custodial parents are expected to use up to 5.64% of their available assets each year to pay for college. Children, on the other hand, are expected to contribute 20% of the asset they own each year to pay for college. Income also factors into the Expected Family Contribution (EFC), and will impact your child’s ability to qualify for financial aid. The financial aid application requires the income reported on your tax returns from two years prior. For example, on the 2017-2018 application, you will report your 2015 income and tax information, rather than 2016 income and tax information. Note: Qualified distributions from a 529 plan are excluded from income if the account is owned by the parent. This exclusion provides 529 plans with an advantage over other taxable investment accounts that must be tapped for college. Evaluating which college savings vehicle to withdraw from first is vital and should be considered on a case-by-case basis. Families should consider spending down the child’s assets first before the parent’s assets, due to the child’s assets contributing to a potentially less favorable consideration for financial aid. If financial aid eligibility is a concern, it may be beneficial to start the withdrawals from the custodial account in order to take advantage of the kiddie tax exemption amount of $2,100, and use these proceeds to cover education costs. You can also employ alternative strategies to help to minimize your tax liability, such as selecting investments with lower yield income than $2,100 (dividend and capital gains distributions) on an annual basis. Lastly, you can sell investments from the account with current investment losses or gains of less than $2,100 and use that to fund college expenses. If there is no financial aid to consider, you may want to delay using assets in an UGMA/UTMA account and potentially use tax-advantaged distributions from a 529 plan or Coverdell ESA, since UGMA/UTMA accounts eventually become the asset of the student once they reach the age of majority. At that time, the student will likely be in a lower tax bracket, and the funds will be eligible for any expenses, not just college. Many parents of college-aged children find that it can be beneficial to use your 529 Plan or Coverdell Education Savings Account for qualified expenses, followed by any custodial accounts for non-qualified expenses. If you hold multiple 529 college savings accounts, you can help maximize your savings by organizing the distribution of your savings. It may be best to spend from the account with the greatest appreciation to lock in gains and utilize the tax-free benefit toward qualified higher education expenses. Spending more of your 529 assets in the earlier years of college can increase the student’s financial aid eligibility in later years and reduce the amount of interest that will accrue on any unsubsidized loans obtained while the child is enrolled in school. Depending on your situation, allocating your 529 savings in small increments throughout each year of college may be a less than optimal strategy because the college savings will reduce eligibility for need-based aid during the freshman year and each subsequent year. If the student is a beneficiary of a 529 plan owned by a non-parent relative (i.e., a grandparent), you should consider redirecting the ownership to the parent prior to the financial aid filing year. This allows the account to have less of an effect on the EFC asset testing calculation, versus a distribution reported on the income test for the minor. If you are not able to change the ownership, consider using the 529 plan assets from non-parent relatives in the later years of college. If you are utilizing non-qualified assets, you should also consider avoiding distributing highly appreciated positions with large capital gains to prevent a potential increase in your adjusted gross income (AGI). In most cases, it is not recommended to take withdrawals from your qualified retirement accounts to pay for college due to the taxes and early withdrawal penalties that could be incurred. There are other options if your college savings come up short (i.e., student loans or scholarship applications), but there are no loans for retirement! This is an exciting time for your family. As you send your child off to college, we are here to help guide you through the process of funding their education. David Homa is a Certified Financial Planner™ and Certified Estate Planner™ who serves as a Financial Planner with Janney’s Wealth Planning Department. 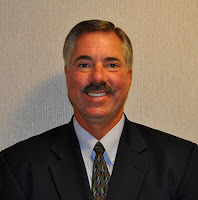 Mr. Homa has over 25 years of experience in financial services in large, mid-, and small- sized firms, serving in a variety of analytical, managerial, and practitioner roles. Prior to Janney, David worked as a comprehensive financial planner with Ernst & Young LLP, as well as a NJ boutique financial planning firm. He holds a Bachelor of Science in Business Administration from Bucknell University and is a graduate of the College for Financial Planning. Additionally, Mr. Homa has served as lector and food pantry volunteer at his church, assistant president of his parish school board and coached girls’ elite fast-pitch softball. Shurdonna S. Joseph is a Certified Financial Planner™ who serves as a Financial Planner with Janney’s Wealth Planning Department. Ms. Joseph has over eight years of progressive experience in the investment management industry. Prior to joining Janney, Ms. Joseph was a Financial Advisor at Vanguard where she provided investment guidance and financial planning services through multiple business groups within the firm. 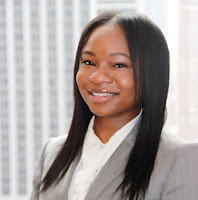 She holds a Bachelor of Science in Finance from Morgan State University Earl G. Graves School of Business and Management and her FINRA Series 7 and 63 licenses. Ms. Joseph is currently pursuing her Juris Doctor (JD) at Temple University Beasley School of Law. She serves as a member of the Financial Ministry at her church, is a proud member of Alpha Kappa Alpha Sorority, Incorporated, and also volunteers as a project coordinator through United Way leading various projects for our community youth. This is for informative purposes only and in no event should be construed as a representation by us or as an offer to sell, or solicitation of an offer to buy any securities. The factual information given herein is taken from sources that we believe to be reliable, but is not guaranteed by us as to accuracy or completeness. Opinions expressed are subject to change without notice and do not take into account the particular investment objectives, financial situation, or needs of individual investors. Employees of Janney Montgomery Scott LLC or its affiliates may, at times, release written or oral commentary, technical analysis, or trading strategies that differ from the opinions expressed within.